Herbert is not remembered on the war memorial at Christchurch Park. Died: 13th May 1918; age 37; Died of Wounds. Residence: 212, Bramford Road, Ipswich. Occupation: Hairdresser – own account. Rank: Private; Service Number: 42427. Formerly Private, 34967, Essex Regiment, 1st Battalion. 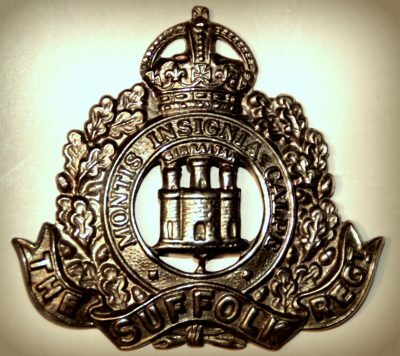 Relatives Notified & Address: Husband of Lucy Robertson, of 212, Bramford Road, Ipswich. Father to JACK HERBERT ROBERTSON. 1881 3, Swallows Road, Ipswich. Herbert was 5 months old and living with his parents at the home of his widowed maternal grandmother & aunt. Mary Gray (nee Packard), 62, a Laundress, born Stratford St. Andrew, Suffolk – died 1884, Ipswich. Mary Jane Gray, 34, born Stoke by Nayland, Suffolk. Chronic Rheumatism. Edwin Horrex Robertson, 21, a Carpenter, born Ipswich. Lucy Elizabeth Robertson (nee Gray), 21, born Ipswich. 1891 Rose Villa, 36, Windsor Road, Ipswich. Herbert was 10 years old and living with his parents, sister & maternal aunt. Edwin, 30, a Carpenter – Building Trade. Lily Muriel G. Robertson, 8, born Ipswich. Jane, 46. Chronic Rheumatism for the past 27 years – died 1892, Ipswich. 1901 Riverside Terrace, Bramford Road, Ipswich. Herbert was 20 years old, a Barber – own account – at home. He was living with his widowed father & sister. 1911 212, Bramford Road, Ipswich. Herbert was 30 years old, a Hairdresser – own account – at home. He was married and Head of the Household. Herbert’s mother, Lucy Elizabeth Robertson died August 1899, Ipswich. His father, Edwin Herbert Robertson died July 1917, of 140, Norwich Road, Ipswich. Lucy Lily Robertson, born 1903, Ipswich. Winifred Sybil M. Robertson, born 1905, Ipswich. Jack Herbert Robinson, born 1914, Ipswich – MPK – 26th September 1943, aged 29, on board H.M.S. ‘Vasilissa (Queen) Olga. Jack was ranked a Coder, service number C/JX 227538, of the Royal Navy. He is commemorated on the Chatham Naval Memorial, Kent. Soldiers’ Effects to Lucy Robertson – widow.